The Sony World Photography Awards has announced Don Ferdinand Tabbun as the winner of the 2018 United Arab Emirates National Award, after being shortlisted in the 2018 Awards’ Open Culture category. Tabbun, an architect, is passionate about photography and is based in Abu Dhabi. He won for his photograph titled Challenge. Tabbun is particularly interested in capturing human expressions and cultural traditions. 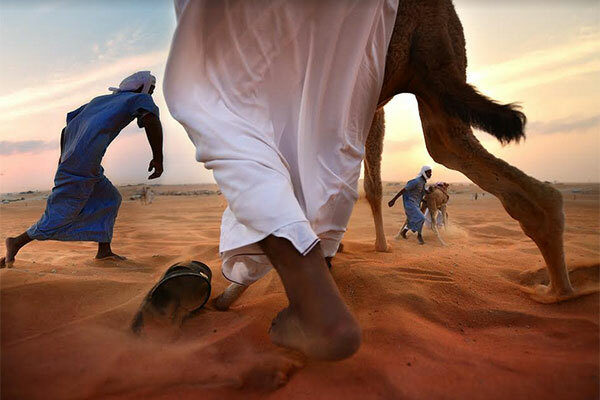 His work was selected by an expert panel of judges as the best single image taken by a photographer based in the UAE. Produced by the World Photography Organisation, the Sony World Photography Awards is among the world’s most diverse photography competitions. The 11thedition saw a record breaking 320,000 submissions by photographers from more than 200 countries and territories, presenting some of the world’s finest contemporary photography captured over the past year. As National Award winner, Don Ferdinand Tabbun receives the latest digital imaging equipment from Sony. His award-winning work will be displayed at the Sony World Photography Awards Exhibition in London from April 20– May 6 and will be published in the 2018 Awards’ book. “Being one of the winners of the Sony World Photography Awards is a rare event, and I am very excited to be recognised. I can now say that my work will be part of a major photography exhibition in London!” he added.